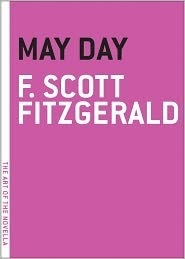 Although I have read most of Fitzgerald’s novels, it has been a long time since I have read anything by him. In that time I think I may have forgotten just how enjoyable Fitzgerald’s writing is. Not surprisingly, May Day takes place on May 1st. The year is 1919 and crowds of soldiers recently returned from World War I are plentiful on the streets of New York. Among the characters that populate this novella the conflicts of the American class system play out over the course of twenty-four hours. We see affluent Yalies, working class soldiers who misdirect their leftover angst and agression toward socialists, and two women of vastly different worlds both hoping to make a match with Gordon Sterrett an impoverished artist having trouble readjusting to life after the war. And we see booze. Lots of booze. Despite much humor, May Day is filled with many minor tragedies that make contentment difficult, life a struggle, and lead to truly tragic closing curtain. The Verdict: Didn’t want to put it down. Almost missed my train stop. This one was a little trickier for me. Being a huge Fitzgerald fan, was disappointed that this did not come off better. A little immature. But still enjoyable. Never read it, but it sounds really good. I always feel like I'm treating myself when I read Fitzgerald. All this novella reading is inspiring me to read mine, I have about 20 knocking about but I always put them aside for larger doorstop books.